My sons favorite! Now he has one at home and in his dorm. From Lacoste's L.12.12. collection, 'Pure Blanc' represents simplicity, elegance and freshness. This classic woody-floral fragrance is highlighted by top notes of grapefruit, cardamom, rosemary and cedar leaf. Mexican tuberose and ylang-ylang at the core give way to sensual notes of leather, suede and cedar. The fresh, citrus fragrance is evenly balanced between floral notes and rich, masculine undertones for an ideal men's scent. Wear this eau de toilette spray during the day or at night for a sensual and masculine effect. 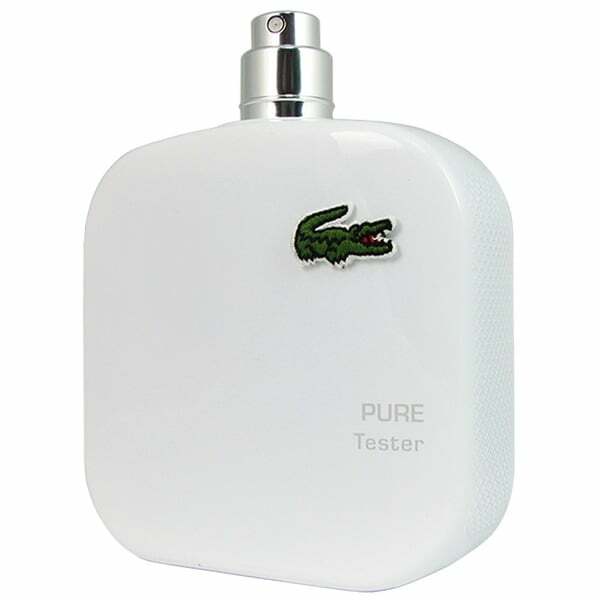 The tester deal offers you a fabulous discount on a sophisticated, highly desirable men's fragrance. I would give it no stars if i could -does not have a strong scent at all had purchased before and its been fine this tester is weak do not purchase it not a good product and they will not refund your money . This fragrance is outstanding! My wife loves it and my six year old son always wants to smell like daddy. The price on Overstock couldn’t be beat. I got this for my husband because we love the smell and the price is unbeatable. It still had a top on it so you wouldn't have to worry about traveling. I will always buy it here from now on. I receives a sample a while back and was waiting for this cologne to go down on price, the smell is very fresh/ citrus . Great buy. A great EDT. Both my husband and I love it. Just as it is in retail stores. About half price of retail!! Great smell. i use this product and love it.